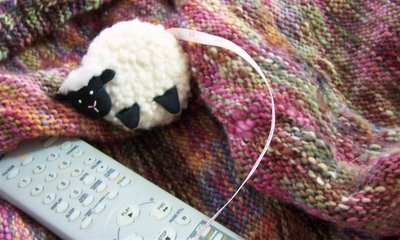 At this point in the knitting I must have television. Olympics, maybe, but television or a DVD is a must. I’m knitting the right front, which I’ll finish today. Then it’s sleeves and neckband and buttons and blocking and oh my I’ll be done! I’m in it to finish, and I think I can make it as long as nothing else stops me. I did hit a wall a little earlier in the week, when the desire to work on a nice, easy sock nearly overwhelmed me. Then I looked at all the good work and the progress I’ve made on this lovely sweater, and I knew the sock would wait. I’m determined to wear my Olympic Sweater proudly while I knit socks! I would like to report on the Olympic progress of my friend J, who is blogless, and who is knitting along at quite a clip. To begin with, her name is Judy. Judy, okay? The J business is unnecessary. Judy managed to get half a poncho knit during a very stressful week that included two sick but still fabulous R’s, a work deadline, and the very sad death of a very sweet cat. I was at the memorial service, and we actually stood in the kitchen and knit a row or two together. Let’s give her a hand, shall we? I think she’s going to finish with time to spare. Stonyfield Farm Organic Whole Milk. An essential for the morning coffee. And the evening coffee as well. The last of the apples from the Harry and David Fruit of the Month Club February package, a Christmas gift from my brother and his family. Amy’s frozen burritos, in several varieties. A nearly perfect meal, if you ask me. An empty Fridge Pack of Diet Coke. I guess that means I have to go to the store. Smucker’s Natural Creamy peanut butter and the treat-to-myself Stonewall Kitchen Apricot-Cherry Preserves. No bread, though; guess I’ll be using a spoon. Since you have to go out and buy Diet Coke anyway, you might as well buy bread. :)My sympathy to Judy on the lost of her cat…Knit on, both of you, and take care. Yes, please pass sympathies onto Judy. I’m cheering you on – terrific work going on there!If you have (or can get your hands on) a copy of “the Idiots Guide to Knitting and Crocheting” at the front there’s a list of movies that are high on dialogue and low on plot-altering action, so they’re good for knitting when you have to look down a lot. I know Philadelphia Story is one on the list, but I can’t remember the others. I’ll see if I can find my copy of the book.In the meantime – knit on! It’s getting chilly in this cheerleading skirt! I cannot wait to see the finished sweater – did you decide on and get buttons yet? and to Judy – I am so sorry to hear about her cat- it hurts to lose any member of our family – four legged or 2 legged – the pain is the same. rhois there anyone else in the world who has as much trouble as I do with the blasted word verification…. Hi Jane, just lurking here and saw your tape measure… is that a sheep with the tape coming out of its bum?So cute! Love it! I think maknig some raviolis and eating them thursday nite is a grand idea. I’ll raise a glass of italian wine in your general direction.Give my hugs to judy. I feel bad about the loss of the kitty.